Last December I wrote a blog post that referred to an episode of the Australian documentary series Catalyst, which airs on the ABC network (similar to the BBC in the UK). The programme, entitled ‘Heart of the Matter’ essentially challenged the widespread use of statins. My personal opinion (and I admit I am quite ‘statin-sceptic’) is that the programme was well made and balanced. It featured the opinions of several academics sceptical about the value of statins including Drs John Abramson, Beatrice Golomb and Rita Redberg. This documentary was preceded by another episode of the same title, this one questioning the conventional wisdom regarding saturated fat – specifically the role this fat supposedly has in heart disease. There was quite some uproar after the shows aired, particularly with regard to the second show. The main accusation appeared to be that the programme did not provide a balanced view of the effectiveness of statins, and might ‘frighten’ people into not taking their statins, with the result that some may die. My blog post in December explored this claim. As I explained, the risk here, even for people who have had a previous heart attack or stroke (‘secondary prevention’) individuals, is very small. In primary prevention (for those who have no previous history of cardiovascular disease), the risk is even smaller and, in fact, may pose no risk at all (some research finds that statins do not reduce risk of death in primary prevention). So great was the controversy surrounding the documentary that ABC’s own Audience and Consumer Affairs Unit (ACA) carried out an investigation into the two programmes. Its report (which you can access here Catalyst Heart of the Matter FINAL ACA Report) clears the first documentary (on saturated fat) of any bias. However, the ACA concluded that in two instances, the second documentary demonstrated bias. 1. That the documentary did not put enough emphasis of the benefits of statins in secondary prevention (see page 40 of the report). Catalyst has also explained that the stratified risk approach was omitted because it is ‘erroneous’ and lacks an evidential basis. However, the effect of excluding this issue was that viewers were not given the opportunity to hear both sides of the argument, and were not left in a position to make up their own minds. Two days ago, Mark Scott, the managing director of ABC TV published a statement in which he announces the removal of both documentaries from the ABC website. His reason is that the second documentary “breaches ABC standards on impartiality”, and goes on to explain that the first documentary will also be removed “[b]ecause of the interlocked nature of the two programs…”. I am sceptical about the role of saturated fat in heart disease and the value of statins in the prevention of cardiovascular disease. My scepticism is based on the published research. I’ve documented contemporary research relevant to the issues many times. Obviously, I have a bias towards Dr Demasi’s programmes and their broad sentiments. However, when I attempt to put my own bias aside and focus on the facts, I am still left with the belief is that Dr Demasi did, overall, a very good job of highlighting the misinformation that abounds in this area. It is my opinion that Dr Demasi’s work was an example of good, responsible journalism. Read through the ACA report, though, and you’ll see that the content of the programmes was fundamentally sound. Somehow, I feel like Mark Scott’s action to remove these documentaries is inappropriate and wholly disproportionate. If all documentaries (whatever the subject) were subjected to the level of scrutiny seen here, and then judged because of the omission of information (which one could argue is inevitable), then I suspect no documentaries would be deemed fit for transmission. I am also left wondering what sort of pressure Mark Scott felt he was under to capitulate in such a spectacular fashion. If you’re wondering the same thing, or simply would like to express your support or otherwise for his decision, you may care to email Mr Scott at scott.mark@abc.net.au. If anyone believes Mark Scott’s limp excuse, they probably believe Lions make good house pets. The cat is out of the bag, Statin dugs are useless for most, and downright dangerous for many. My heart bleeds for big pharma, only today the media is reporting again on the GSK bribery and corruption in China. The so called ‘benefits of statins in secondary prevention’ are completely negated and wholly irrelevant in light of the massive physiological destruction caused by administration of statins in either primary or secondary treatment. The only exception to that rule is using statins to treat systemic fungal infections since all statins were originally antifungal drugs that were about to go off patent and were reformulated to fall into a newly patentable and very profitable category of pharmaceuticals. When an evidence-based medical system is confronted with conflicting evidence, the easiest response and tactic to employ to maintain the status quo is to simply deny it’s existence and prohibit any discussion thereof. But that’s an old trick that is starting to not work on an increasingly enlightened public. I predict there will be an outcry and backlash and will backfire on them in the end. I am not even kidding a little. Interesting. Some years ago, my husband’s cardiologist had him on Lipitor. When I questioned whether the Lipitor was contributing to my husband’s anxiety and irritability, the doctor laughed, grabbed the physician’s desk reference, and finding no mention of either anxiety or irritability in the list of recognized adverse effects of LIpitor, derisively dismissed my concerns. We don’t see that doctor anymore. More troubling to me than the statin issue is the soft censorship that this action — and others like it — represent. Here is the US, many bloggers and websites which discuss alternatives to conventional medical treatments are finding it increasingly difficult to distribute our information. Advertising our content is next to impossible because the big gatekeepers like Google and Facebook have structured their “advertising guidelines” to exclude non-conventional alternatives — especially when it concerns specific medical conditions. Companies that distribute commercial emails are becoming more strict about the content and products contained in them — to the point of blacklisting mailers than don’t comply. And now the US Federal Communications Commission (FCC) is about to allow companies to purchase faster delivery speeds on the Internet, creating “fast” and “slow” lanes on the information highway (read about it here: http://time.com/94205/al-franken-says-fcc-proposed-rules-are-the-opposite-of-net-neutrality/). Websites and blogs that can’t afford this premium service will open slower and lose readers/visitors. My fear is that soon the only health information the public will receive is “approved” mainstream doctrine, which will silence alternative views and essentially end free speech where personal and public health are concerned. All this could happen without a single law being passed. Corporations with the most money (such as statin manufacturers) will be able silence their critics and stamp out competition simply by pressuring the gatekeepers who control access to information. As we have already witnessed with the persecution and gagging of whistleblowers such as Bradley Manning, Edward Snowden, Julian Assange and WikiLeaks in the political arena, there are very powerful people in high places who believe we have no right to know about certain topics and actions. I fear it is only a matter of (brief) time before corporate and industrial leaders apply this same strategy of soft censorship and obfuscation to the areas of medicine, health, finance, science, and the environment (example: the “science” which climate change deniers currently use). I don’t have a solution to offer, but I’m becoming more convinced every day that we should become aware of, monitor, and publicize this very dangerous encroachment on our right to learn about and publicize any threat to our health and personal freedom. Another possibility that I find very frightening is the possibility that insurance companies (in the US anyway where there is no national health insurance) will start enforcing the Dr.’s orders by dropping anyone who refuses to take statins (or any other medication) as per Dr.’s orders. This would effectively complete the Big Pharma control over our medical system. They could count on the people acting like baby birds in the nest with our mouths open wide ready to accept any drug that Pharma puts out regardless of how bad the science is for this drug. Agree wholeheartedly with your sentiment. With the recent changes in US health insurance and the government access to all medical records through EHRs, I too fear that the insurance companies/government will enforce the doctors’ prescription orders. And the orders will, of course, be mandated to adhere to the current guidelines, which in turn, will be based on Big Pharma’s manipulated data. We will always find a way to spread the word. The truth will always out. Good always overcomes evil, this has been proved, time and time again. Mighty Empires crumble into dust, but it takes time. Keep spreading the word. Whole fresh food, modest exercise and a good nights sleep. Sounds so simple, because it is. For so many health complaints, drugs are not the answer, this has been proved, time and time again. “Let your food be your medicine, and your medicine be your food.” Hippocrates. Over two thousand years ago those words were uttered by the Father of medicine, they stand good today. Never has the food we eat had greater influence over our lives. 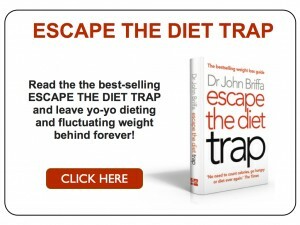 Traditional foods and healthy eating has been usurped by the multinational food giants. Do not become a victim of poor dietary information. Eat the food we evolved from, the less man is involved, the healthier the food. So we have a lucrative new sledgehammer, to crack the near-irrelevant LDL nut ! I stopped taking the statins and got my life back. Mortality is inevitable: death by heart attack vs death by (for example) cancer? I choose the former. What has surprised me is the support and understanding I’ve found within my local medical community – there’s an acceptance that there is controversy and that the percentage of lives saved by taking statins is relatively small and that as we age quality of life is all-important. But none of this pays out to the shareholders! I have done my bit. Fired off an email just now. Your readers and your good self may be interested how I arrive at my outlook upon what serves public interest and what does not, along with how I set about sharing that view with Mr Scott. 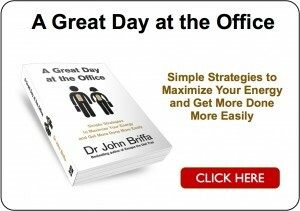 .. ..
“I have learned of your actions and responses top a Catalyst broadcast on heart disease, saturated fat, and statins from Dr John Briffa (here; http://bit.ly/RFwLSR). “Statin scepticism is the balanced view, It is the pro-statin lobby who are befuddled by bias. “The assumption used to be, and still persists, that salt raises blood pressure, saturated fats raise cholesterol, and that (raised) cholesterol is responsible for the promotion of growth of atheromas (those so-called fatty plaques). Coming with each of these assumptions is an impression that they are evidence based, when in fact they are not. “When Dr Ancel Keys looked at the work of Anitschkov and Chalatov (1913) who fed distilled cholesterol to rabbits and induced growth of atheromas in cholesterol-fed rabbits he was misled. It is not unreasonable to consider if that if cholesterol-fed rabbits develop atheromas it is the cholesterol that caused them, but reasonable a step as this sounds it is not strictly correct. “Cholesterol is a highly reactive molecule which readily oxidises in air. It is the level of reactivity that makes cholesterol such a vital and functional molecule across biology and physiology. Cholesterol has a highly developed and synergistic transport system given over to it in any body, and aspects of that system are designed to prevent contact with any potential oxidising agents. “If cholesterol should become exposed to oxidative stress (be that before it is ingested or be that within the body) then it ceases to be cholesterol. After oxidation cholesterol forms one or more oxy-cholesterols. Thrice oxygenated cholesterol is called cholestane triol, and cholestane triol has been proven to be highly atherogenic (by bioassay tracking degeneration and necrosis of smooth muscle cells in the pertinent arterial tissues). At the same time and within the same trial Hideshige Imai et al (1976) proved cholesterol, that is pure cholesterol, did not induce degeneration and necrosis amongst those same cells. “Cholestane triol is atherogenic; cholesterol is not. “Prior to the late 1960s methods of preparing batches of cholesterol were inadequate to face the prospects of oxidation. Only in the 1960s was a better method developed. It has to be reasoned, then, that any experiments involving the feeding of cholesterol to any species undertaken prior to the the 1960s and prior to the of Imai induced effects and produced results that were due to contamination of cholesterol (by oxidised cholesterol) of which those running the trials were unaware. Prior to Imai it must be assumed all cholesterol used could have been contaminated by highly atherogenic oxidised cholesterols including the potent variant; cholestane triol. “The pro-statin lobby do not know their cholesterol from their cholestane triol. It is an easy mistake to make, as easy as thinking rusty brake-pipes on a car will perform and hold up as well as sound ones, while remaining equally as dangerous and potentially life-threatening. “The above analogy exposes the same basic principles. Oxidation of anything will alter the properties of the derivative (oxidised) molecule or substance from those of the parent, and in each instance covered by this specific analogy a process involving oxidation results in a compromise to structural and functional integrity of some important plumbing. “The rightful thing to do, one that is evidence based, is to advise the in-house regulator (ACA) that their report has only partial contact with the evidence and therefore you should reverse your decision and statement, intimating, as politely as you see fit, they should shove their report where the sun does not shine. This Catalyst broadcast was in the public interest even if it failed to recall and report evidence supplied by Hideshige Imai as long ago as 1976. “The basic issue at stake here is that the quality of broadcast and its capacity to serve public interest should be judged against facts and not against dogma; this irrespective of the appeal or of the grounds for the appeal of the dogma. Excellent letter. Such a shame to be forced into a backdown. Mark Scott is usually very brave and is very smart. However, in Australia right now he is under the pump with our new right wing government cutting funding and threatening worse. Probably taking a fall in order to the prevent annihilation of the Australian ABC. “Both episodes of Catalyst’s ‘The Heart of the Matter’ were reviewed by Audience and Consumer Affairs, an independent unit that reviews ABC programs to assess whether they meet our editorial standards. These standards are necessarily high, consistent with what Australian audiences expect from their national broadcaster. “Following a thorough review of the programs, Audience and Consumer Affairs concluded that there had been a failure to meet these standards. “The decision to remove the programs was made by senior management and the Board having regard to the seriousness of the subject matter and the possible health implications. There has been no diminution of the ABC’s editorial independence and I have in fact encouraged our science journalists to continue to investigate and report on this subject in accordance with our editorial policies. So that last sentence is encouraging, perhaps people power has had Mark Scott capitulate in mind, or maybe he was a sympathiser all along, anmd since he’s an MD we never get to know which. The injustice remains mind, higher ‘editorial standards’ are being exerted upon the rightful expression of dissent than were ever applied to promotion of a totally aberrant fat/cholesterol hypothesis and the prescription guidelines (or practice) that rise(s) above it. The consensus on fat and cholesterol emerged without ever meeting ‘editorial standards’ (even those supposedly involved by peer review) yet now it has become nigh on impossible to challenge it through channels either within peer review or outside of the process without being subjected to retrospective censorship. It appears that Big Pharma is now on the offensive. First the ABC documentary and now the two papers in the BMJ. I find this frightening beyond belief, especially for people who are prescribed statins without realising the effect they may be having on their body. I read a broad spectrum of online newspapers and the comments made by the general public relating to the articles. These are often more enlightening than the articles themselves. The side-effects from statins don’t appear to affect everyone, but then we don’t know their exacts dosage. But the people who do suffer seem to report mainly muscle aches, loss of memory and blurred vision. Given the choice of feeling this way or improving my diet, I know which course I’d take. I await, with baited breath, Dr Asseem Malhotra’s response to the inevitable removal of said articles from the BMJ. Big Pharma is on the offensive, re the BMJ article being amended and Sir rory Collin’s comments. Scaremongering over statins has created a “grave public health risk” which may have endangered lives, an Oxford academic has warned, following furious rows over a British Medical Journal report found to have over-stated their side effects 20-fold. The respected journal on Thursday withdrew statements by two medics published last October, which said one in five of those on the drugs suffered from ill-effects such as muscle pain, tiredness and diabetes. The BMJ said the claims had been found to be wrong and that it was now setting up a panel of experts to decide whether it should completely retract the controversial piece. The decision followed repeated criticism from a leading cardiologist, Sir Rory Collins, professor of medicine and epidemiology at the University of Oxford, who said he feared the furore could cause more harm to the public than the MMR scandal. I am looking forward to Dr Briffa’s comments on the 20-fold comment, how dependent the paper was on that piece of secondary research and on whether Collins is scaremongering. Anyone who is practiced at using a pendulum or muscle testing just has to experiment about using statins. This is a quick method of testing items on the shelf that are being forced upon us for the good for our health. This testing applies to anything that my body does not want.Beware using any cosmetic/shampoo or food or Px that it says NO to and I am scratching like a dog with fleas until I’ve soaked to get the particular item off my skin. I would not buy any item that my pendulum or muscle test does not recommend. I have been asked to leave Macy’s store in NYC because they did not like my testing. Pendulum testing? This sort of pseudoscientific rubbish is manna from heaven for people like Collins, who wish to portray sceptics as nut-jobs. Thanks! No need to resort to idiotic woo when questioning statins: merely learn about the Mevalonate pathway and how statins throw a spanner into it. Sure, it’s more involved than relying on the idiometer reaction of a pendulum, but you’ll not be (deservedly) laughed out of the debating chamber. This is what we face in this country (Australia) mainstream medicine has no room for alternatives nor indeed to they listen to their patients. My mother had a mild cardiac event related to fluid around the heart (her valves and arteries are free of any sort of plaque build up even though her cholesterol readings are high by the medical standards she in in her late 70′s and is not concerned about a higher than average reading) She told the doctors she did not want to take statins but they put her on them while she was in hospital she discontinued them when she got home, told her specialist put her case forward and he said ok!) so it seems they just have to toe the party line or else because he agreed with her reasoning and was amazed that she was so up to date on statins and their research & effects ………thanks to you and other doctors like you that put out info on the internet. So the pharma industry and the AMA are in cohoots and it seems they really dont care about patient health rather government funding and being seen to do the right thing officially. So stand up for your health rights and research and weigh the pros and cons and go with your gut instinct because after all it is your health not the prescribing doctor’s !! Has anyone investigated Sir Rory Collins’ ties to statin-makers? THE world-renowned professor whose research unit led studies expected to lead to a new era of widespread heart drug treatment has had multi-million pound funding from the manufacturers of statins to carry out his work. This world-renowned professor whose Oxford University research unit led studies expected to lead to a new era of widespread heart drug treatment has had multi-million pound funding from the manufacturers of statins to carry out his work. In October last year we published an article by John Abramson and colleagues that questioned the evidence behind new proposals to extend the routine use of statins to people at low risk of cardiovascular disease.1 Abramson and colleagues set out to reanalyse data from the Cholesterol Treatment Trialists’ (CTT) Collaboration. Their contention was that the benefits of statins in low risk people were less than has been claimed and the risks greater. This editorial aims to alert readers, the media, and the public to the withdrawal of these statements so that patients who could benefit from statins are not wrongly deterred from starting or continuing treatment because of exaggerated concerns over side effects. I have been a grateful recipient of your emails for a long time – a big thank you is long overdue. Im not writing – first time ever- because of the medical information about statins which disappeared. It is very, very important, of course, and very worrying. Just before reading yesterday Dr Briffa’s newsletter, I read in Daily Mail art.by Stephen Glover : ” Max Mosley and chilling Euro ruling that ANYONE can airbrush their history…however damning it is”. It is about more ways to lean on Google to change what is on the internet. Coming as I do from communist run Poland – I came to UK in 1977, aged 30, because I fell in love with a British citizen – I cant tell you how scary the developments like that are .Now we all are in danger, not only people living behind Iron Curtain.What an irony !!! I have many Russian and other European work colleagues and it is always they, not us British, who get most concerned about secrecy, censorship and corruption. I’m surprised that the documentary was made, and lasted as long as it did on the web sight. Overall, I’m glad that the piece received some air time. I can imagine that ABC received a good amount of pressure over keeping it up as long as they did. Going off from what I’ve read on research done in the UK, there are many interest groups interested in keeping things the way that they are. It isn’t just “big pharma” with influence. It’s also University groups that receive funding for studies, regulators that earn their living on these drugs, also the revolving employment door between the two sides, media that receives advertising profits, government groups/politicians that enjoy the tax revenue generated from these goods, political donations, etc. (the big enemy these days according to top economic gurus in deflation.) Many from these groups aren’t going to be interesting in awkward studies that report different from their belief. Personally, I believe one would get farther by educating the public on different ways to detect and address plaque growth, how to keep it from rupturing. Soul: “It isn’t just Big Pharma…” Yes, it is in this instance. When you follow the money trail from all the other influencers you note, it leads to the same source. It is a frightful situation indeed when an industry can produce and market a product with dubious benefit and documented dangers, yet convince the medical community and the general public that it has life saving value. How? Not with science, but through widespread bribes that permeate every level of the information-distribution network (the opinion influencers you note). Science, the most trusted means we have to ascertain truth, has been corrupted. It is a sad and scary day, indeed. Indeed, it is a sad and scary day. The covenant of trust has been broken for a long time. One has to be very wary about the medical industry or one will certainly be exploited! Given the state of the media in most countries, how many other programs by ABC TV are held to the same journalistic standard? A scientific mind I have not… but I always read your emails and the comments with great interest and also try to read the summaries of trials. I was prescribed statins some years ago -felt dreadful, many side effects. Told GP who denied that statins could cause those problems. So I feel pretty confident that he never reported via the yellow form… I told him I was going to stop taking them and I did. But, even though I never ordered them again on my prescription repeats, they still came and came and came… Managed to get them stopped a few months ago. I wonder how many people there are in the same position? And how do their experiences figure in evaluating the effectiveness (or not) of statins? The Heart Foundation, predictably, applied pressure to have it removed–thousands of people quit taking their Statins after the Program aired. The Heart foundation then ran an ad to tell people to go back to their GPs and get back onto taking them…! Well said Jennifer! Junk science it was . Genuine results are crushed. Here’s episode 1. I don’t know how to save it, but I’m sure other people do. Better hurry up. This is a comment I posted on this page but has not been posted up. would have upset the Heart Foundation even more that the two programs did. Money is the reason they hold their views . Some years ago Nettelex had to stop using the Tick logo because the NHF asked Nuttlelex for $30,000, Nuttelex refused to pay. The whole food business is complex and difficult to understand. What most people have no idea of the slim margins there are in the production and distribution of butter. Some years ago when I was running a restaurant I decided to check the price on 500g Black & Gold butter at Campbell’s Cash & Carry. Would you believe it was 2c a packet cheaper, plus freight than the local supermarket? For this reason , you never see generic brand butter on a catalogue special. Even brand name butter only occasionally makes it as a catalogue special. Margarine on the other hand has a much higher mark up so it is easy to knock the price down for the week and make it look like a bargain. As margarine production is far more lucrative than butter production, more money is available for promotion purposes. Even if butter manufacturers were willing to give the NHF any money it would put the NHF in a conflict of interest. The Heart Foundation knows what side their bread is buttered on. The whole point of the first program was highlight the lack good hard scientific evidence against saturated fat. The only scientific evidence is what Dr Robert Grenfell: Meta analyses have, in fact, actually shown that, you know, we can say with convincing evidence that intake of saturated fats leads to an increase in blood cholesterol. He did however make a serious omission as he failed to mention that consuming saturated fat pushes up LDL ‘s and HDL’s by equal amounts and therefore not of any concern. Trans fat on the other hand pushes up LDL’s and pushes down HDL’s and therefore should be avoided. Dr Robert Grenfell probably already knows this but has to be careful not to upset the likes of Unilever and Goodman-Fielder. The Heart Foundation therefore cannot be considered a source of expert unbiased, disinterested information. I cannot understand why the ABC hold the organization in such reverence. This is standard pseudo science. To answer his question all the same just look at France with its high saturated fat consumption and low rates of heart disease. Also look at countries where coconut oil has been traditionally consumed. If saturated fat causes heart disease then people in such countries should be dropping dead all over the place, but this is simply not the case. From a link a kind person posted earlier..Part2, hope it works…. The National Heart Foundation is essentially an advertizing agency for the margarine industry. If they feel so maligned, maybe they should be given an episode of Four Corner ( the down-under equivalent of Panorama) . Such a program would look like an an infomercial found on a home shopping network channel. Enlightened members of the audience can watch and shake out heads at the inept medical advice given on the program. It’s just that no one has been allowed to hear it. Leave a Reply to Sandy Angove Click here to cancel reply.